“Times Past” | "William's Window"
A time that has past.. . It all went by so fast.. .
Life would be a blast.. .
As I sip my rum. There’s nothing that I lacked.. .
A time I’ll never give back.. . 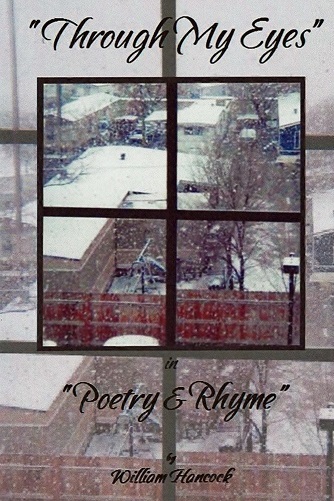 This entry was posted on December 17, 2013 by "William's Window". 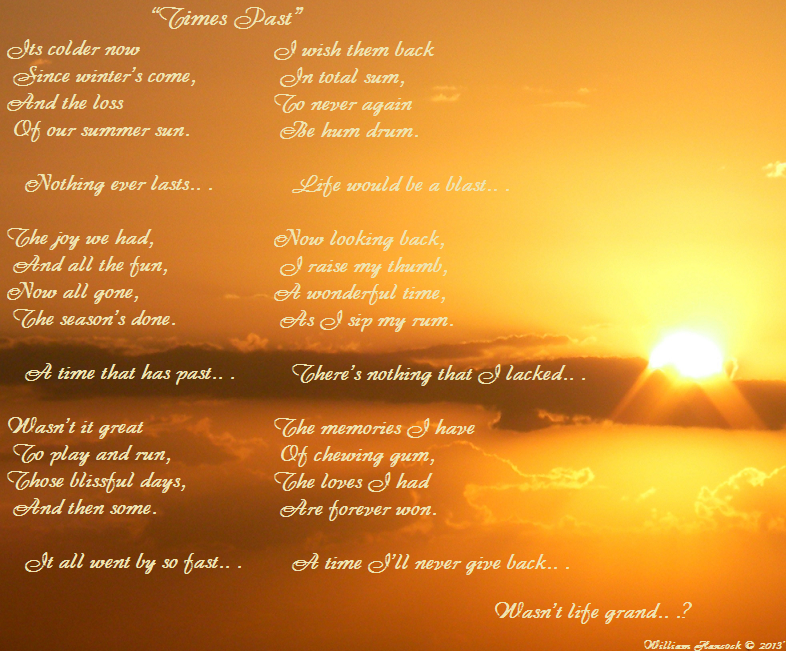 It was filed under "Poetry" and was tagged with Life, Memories, Poem, Yesterdays. Unauthorized use and/or duplication of any of this material without the express and written permission from the author/owner of this material, William Hancock, is strictly prohibited. All material is protected under Copyright, and is also Licensed under a Creative Commons [ Attribution-NonCommercial-NoDerivatives ] 4.0 International License. Excerpts may be used provided full and clear attribution/credit is given to the author/owner of this material, William Hancock, and with appropriate and specific mention/direction to the original material: https://williamswindow.wordpress.com. For Permissions beyond the scope of these restrictions, to use and/or duplicate, in full or in part, you may contact the author/owner at the E-Mail address listed at this located here: https://en.gravatar.com/acuriousmind2013. “The Awe of It All”.. . . . .